As part of my regular schedule of boxing for many of the past thirty years or so that I have spent in this game I have made it a point to regularly seek out fights and sparring at venues and gyms that hold a special place in the heart of the boxing world. As a fan first, it is like a special extra perk for me that I repeatedly find myself with access to some of our greatest Meccas. For example, a few months ago when I was in training camp in the mountains of Pennsylvania with Chad Dawson getting ready for Bernard Hopkins I took some time one Sunday to make the forty-five minute drive from where we were to go visit the Deer Lake training camp of the Greatest, Muhammad Ali. I took some photos, looked in the windows and spent about an hour generally soaking in the atmosphere of what for many fans is the most famous training camp in boxing history. Two weekends ago I found myself on a similar road trip with a group of guys from my gym in Connecticut as we made the two hour drive from my house to the legendary Catskill, New York gym once owned and operated by legendary trainer Cus D’ Amato. Situated for more than forty years in downtown Catskill directly above the local police station, the famed gym has been home to the likes of Kevin Rooney, Wilfred Benitez and Teddy Atlas among many others. Standing in the gym and looking up at the numerous posters and clippings on the walls, though, it is very apparent who the most famous and revered boxer ever to come through this facility was. I mean, you could literally stand there for several hours lost in words, images and memories of the youngest heavyweight champion in history, “Iron” Mike Tyson. Standing there reading all the old clips and looking at all the old photos and fight posters, and with his trainer, Kevin Rooney, standing just a few feet from me, I started thinking back to the night of May 30, 1987. I was in Lake Placid, New York at that time training at the United States Olympic Training Center as part of a team of amateur boxers that included the likes of future world champions Michael Moorer, Riddick Bowe and Alfred “Ice” Cole. Now here it is, almost twenty-five full years later, and we all know how things turned out for Michael Gerard Tyson. His bouts with women, drugs, depression, anger and the likes of Don King and Robin Givens, along with better prepared opponents like Evander Holyfield and Buster Douglas, derailed a career that many assumed would be among one of the top ten ever. So now that his career is long over and he has been enshrined in the Boxing Hall of Fame at Canastota, New York, it’s natural to look back and try and find his place in the history of our game. Many foolishly point to losses to Kevin McBride, Danny Williams and the one sided whipping at the hands of Lennox Lewis as some kind of proof that he somehow wasn’t nearly as good as originally thought. Some have even went as far as to claim that Mike Tyson was a limited boxer who only made it as far as he did because he beat a bunch of guys early on who were scared to death of him before they even entered the ring. Well, I have news for you. Their was a good reason some of those guys were scared of this man. If you do as you should and judge a boxer on his prime years and the talents and abilities and successes he displayed in them I believe you will see Mike Tyson on his best days as one of the best heavyweight champions in the entire history of this game. Pointing to losses to McBride, Williams and Lennox at the times he fought them would be akin in my eyes to pointing to losses to Spinks, Holmes and Berbick as some type of indication that Muhammad Ali really wasn’t as good as we all originally believed when he put on the performances he did against the likes of Liston, Terrell, Williams and Foreman. In other words, it’s a display of extreme bias and ignorance to do so. 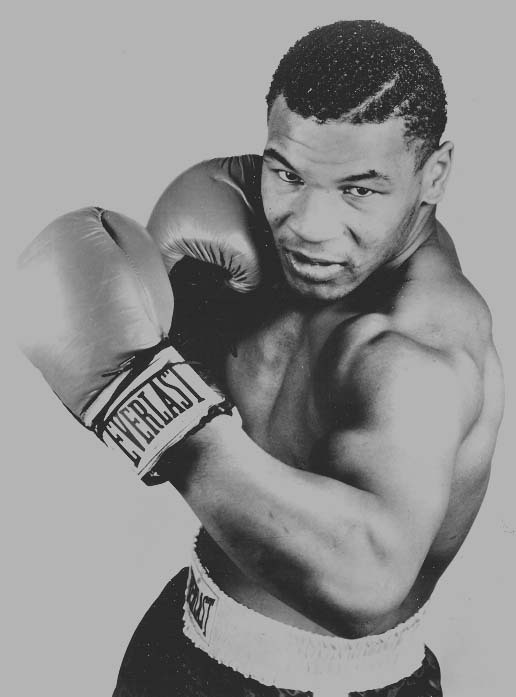 Only a boxing blind person would not be able to see the lightning head movement, awe inspiring hand speed, underrated combination punching, excellent and brutal body punching and off the charts killer instinct and ferocity displayed by the prime Mike Tyson between the years of, say, 1986 and 1990. Add in the tremendous heart he showed in the final moments of the Buster Douglas loss and you have a serious fighter. Most fans remember the brutal combination that separated Mike from his senses at the end of that fight. I always admiringly remember him doing what his innate instincts told him to do. You want to fight, you put your mouthpiece in. How many guys would honestly put their mouthpiece back in during moments like that on the canvas? Not as many as you would like to think, believe me. The technique he showed in many of his fights was often times brilliant. Many fans got so lost in the explosiveness he displayed that they didn’t -or weren’t able to- notice the many subtle things he did in the ring that set up his knockouts. Many of his best victories from his prime were often more calculated and perfectly executed, systematic destructions than lucky, bombs away free for all knockouts. Many foolishly only remember the very end of those bouts. The smart fans will remember what set those endings up. For me, I would say that Mike Tyson in head to head match ups with every heavyweight champion in history would come out on top in the majority of the encounters if they were matched up prime versus prime. I believe he was simply too strong, fast and powerful for most of them. Maybe Lennox and the Klitschko’s were too big for him (provided their chins held up under his best combination of three and four punches), maybe Ali was too physically agile and too psychologically strong and clever for him and maybe there were a couple other guys who hang with him on his best day. Maybe. But more often that not I believe that at the end of the day, the Mike Tyson who tore through the likes of Spinks, Berbick and Thomas tears right through the remainder of history’s champions, too.